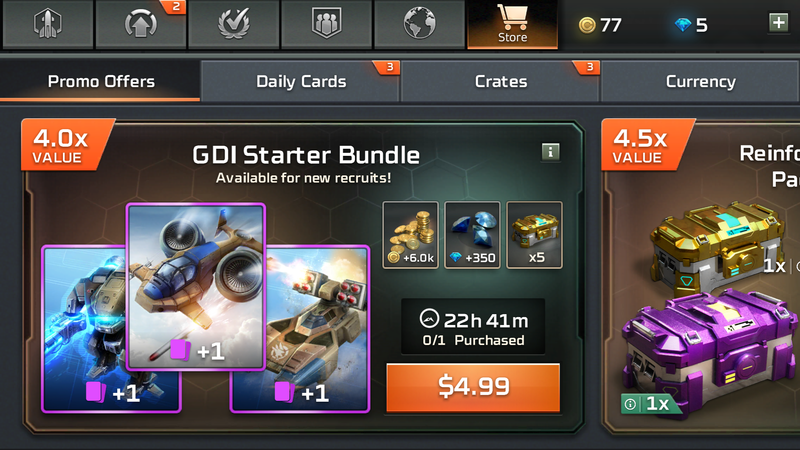 When Command & Conquer: Rivals was first revealed onstage at EA Play earlier this year, fans of the real-time strategy franchise were not enthusiastic, to put it mildly. But with the game launching next week, EA's Command & Conquer competitive gaming commissioner Evan Denbaum and the game's general manager Michael Martinez aren't just optimistic about its prospects with a casual audience. They're ready to build a proper esport out of it. "We didn't start this game with the intention of building an esport," Martinez told me. "That was by no means the intention or the seed. The kernel of this game was to build the best RTS experience for mobile. We wanted to define what RTS means on mobile, and we thought there were no games that really delivered that in a way that is authentic to the genre. "One of the anchors of that was continuous unit control - that's where we started. We do feel we are providing the same emotional beats of an RTS...but you have to do it differently for mobile. You have to build it appropriately for a touch device. You have to build it appropriately for the phone screen size and the session length of mobile." That's the crux of a lot of fan skepticism - the fact that the game is on mobile. Downsizing the series' concepts to a pocket-sized platform is a huge change for a relatively complex RTS, but it's a change that Martinez believes players will come around to. In fact, he says those who have had their hands on the game are already starting to. "We wanted to define what RTS means on mobile, and we thought there were no games that really delivered that in a way that is authentic to the genre"
"I gave the presentation on stage at EA Play," said Martinez. "And then after, I talked to press and was able to do hands-on demos with people. It was a fun process to have some skeptical reporters play the game and have their eyes widen and say, 'Wow, this has all the things that you claim it has.' The message then and continues to be, we love this game, but don't take our word for it. Play the game and you will see all that RTS depth and experience is really in there. Yes, it's different, and it has to be for mobile." "It's fun for me to hear that story because I really come at it from the opposite angle," Denbaum added. "I just joined in June to build the Rivals competitive program, so I was coming in after Michael and the team had done most of the work on the core game. I was analyzing it to see if it had the components that I would look for to build a viable mobile esport, having built the Vainglory esports program prior. I was looking to see: Is the game entertaining? Does the game have suspense and anticipation? "When it comes to viewing an esport, it's not about the outcome - it's about the anticipation before the outcome. The football analogy is: when the quarterback throws the ball in the air, you don't know if it's going to be a touchdown, if it's going to fall incomplete, or if it's going to be intercepted. It's that time when the ball is in the air that everyone is at the edge of their seat waiting to see what's going to happen. And this game, with the way it has MOBA-style objectives in the middle of the map, has that built-in suspense and anticipation and drama." Command & Conquer: Rivals will begin those esports ambitions immediately at launch with what Denbaum called "a full-scale, multi-continent esports program and not just a single tournament." "It's our intent to roll out a complete competitive ecosystem, including community tournaments all the way up to a championship pro scene ideally spanning the entire globe," he said. "When the quarterback throws the ball in the air...it's that time that everyone is at the edge of their seat waiting to see what's going to happen"
That will start with the game's Rival Champions weekend mode, available as soon as the game is out. Inspired by FUT Champions from EA's FIFA franchise, players can go on a run of matches segmented by their ranks to receive in-game rewards. The best players will appear on the leaderboards, which may open up future opportunities for even higher levels of competition. Though in terms of structure this format looks like FUT Champions, Command & Conquer: Rivals' esports endeavors will be very different from anything EA has ever done before. One reason is that all of EA's other esports programs surround games that look like real-life sports, adding a level of accessibility that Command & Conquer lacks to anyone unfamiliar with an RTS. "If you know the world of football, whether that's European or American, then you know the rules of FIFA or Madden esports," Denbaum said. "So with Rivals that teaching burden is higher, as well as the importance of making sure that the entire ecosystem is really accessible, straightforward, and easy to understand and follow." The other big difference is that this will be EA's first foray into the distinct niche of mobile esports. 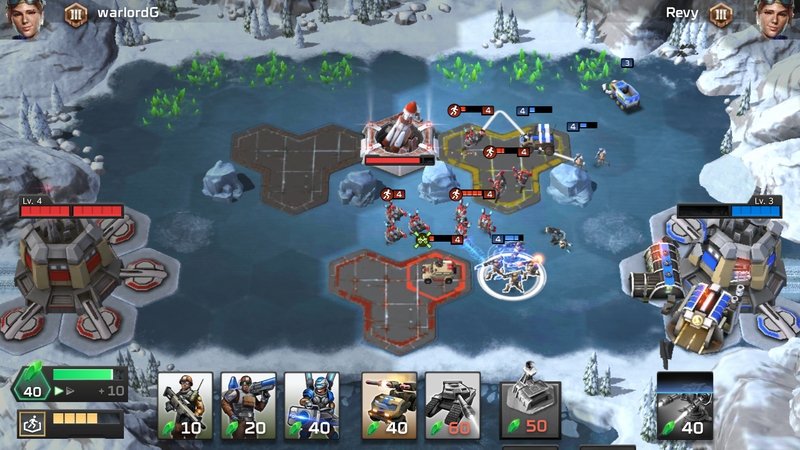 Though mobile esports is still emerging behind its console and PC brethren, Denbaum emphasized Command & Conquer: Rivals being a mobile game didn't make its competitive program somehow inferior or less important to EA than its other franchises. "We knew we were going to have this big announcement of Rivals being named the next official competitive gaming franchise alongside Madden and FIFA, which is a huge deal for us," Denbaum said. "I started talking with Michael well ahead of that announcement about what would be really meaningful for Rivals competitive to show that we're committed to treating Rivals as every bit as important to the competitive portfolio as FIFA or Madden. "Champions has really become a signature EA competitive experience that spans multiple titles and an incredibly popular mode, so we love the idea of extending that to Rivals but adapting it to be right for mobile." "We're committed to treating Rivals as every bit as important to the competitive portfolio as FIFA or Madden"
That support, Denbaum says, will eventually extend to live events, though the details are still in the works. "Championships in a live setting is a must with the sport, absolutely," Denbaum said. "It's just with the timing, with the game not releasing worldwide until December 4, I just need to make sure I'm doing a ton of listening to get this right. I need to listen to our general playerbase, I need to listen to our most competitive players at the top of the leaderboard, to the teams, casters, organizations, and influencers. it's going to be a process to define what this multi-continent esports program ultimately looks like and to optimize it over time. "We're going to need to start somewhere, and I have a vision for what that's going to be based on the Rivals players I've spoken to and my past experience in mobile esports. But we're definitely going to get some things right and I'm going to get some things horribly wrong, and we just have to stay humble and keep our ears open...and have a willingness to change, and an esports structure that will allow us to rapidly course correct as we learn." One major concern in any game with competitive play and rewards are questions of game balance, especially in a free-to-play title where microtransactions can mean advantages. Denbaum and Martinez both outlined in detail the safeguards the team has put into the game to help ensure play is fair at all competitive levels for both free and paying players. "When a player at home sees someone that they identify with on an esports broadcast, it helps with that sense of belonging"
The biggest of these is what they call the Fair Play Initiative, which puts limits on the strength of units players are able to use in a given competitive league and scales down the power of those that are too high - effectively ensuring a person can't buy power-ups and steamroll a league. Other failsafes they mentioned include lowering the stakes for losses against an opponent who is far more skilled, win streaks to bring good players to higher leagues more quickly, and a permanent spot in Gold or Platinum Leagues for those who make it there. And in matches involving official Rivals esports points, all players will have access to the same tools at the same levels. And finally, there's the matter of ensuring that microtransactions are an optional shortcut rather than a pay-to-win problem. "There is nothing that is hidden behind purchases in this game," Martinez said. "Everything can be accessed by non-payers and payers alike. Everything is available to all players - all units, all levels. The main difference is that it may take a little longer to unlock certain units or level those units up, but everyone has access to all the units in the game and that's been really important to us from the beginning." In creating a new esports league from scratch, Denbaum is in an interesting position to grapple with one of the problems high-level, competitive esports is currently struggling with: diversity. In planning the future of Command & Conquer: Rivals esports, Denbaum told me he looked to his past experience building the Vainglory esports community into a diverse and inclusive group. Good players from a wide variety of backgrounds already exist, he said, and the key for him was to highlight those players so that others are inspired. "We have seen in our soft launch territories that already there are so many amazing female players emerging," Denbaum said. "The single best player from the pre-alpha period is a woman who stomped me a number of times. She's an unbelievable player. It's really important at the competitive level that we tell those stories. When a player at home sees someone that they identify with on an esports broadcast, it helps with that sense of belonging. For some it might be an inspiration or motivation to do the same. Whenever you're talking about having a diverse community, making sure people are hearing these stories and seeing those faces and having an opportunity to connect with lots of different people in a meaningful way. "And for me, it's making sure I have gender diversity on my Rivals competitive leadership team, which I do, because it's super important that I'm getting multiple perspectives. I'm going to have blind spots or gaps in experience and not see or think of everything, so it's critical that I'm getting those perspectives as I'm making these decisions building something from the ground up."